A practical, workable budget should be one of the products of the collaborative conversations about money that you have with your partner as you plan how to manage your money. Even if you and your partner will be paying for expenses separately, it’s essential to have one overall household budget. That big picture is indispensable for having a good sense, based on actual numbers, of where the two of you stand financially, and how you plan to stay on track throughout the year. Remember, a budget is there to help you, and it’s not written in stone. 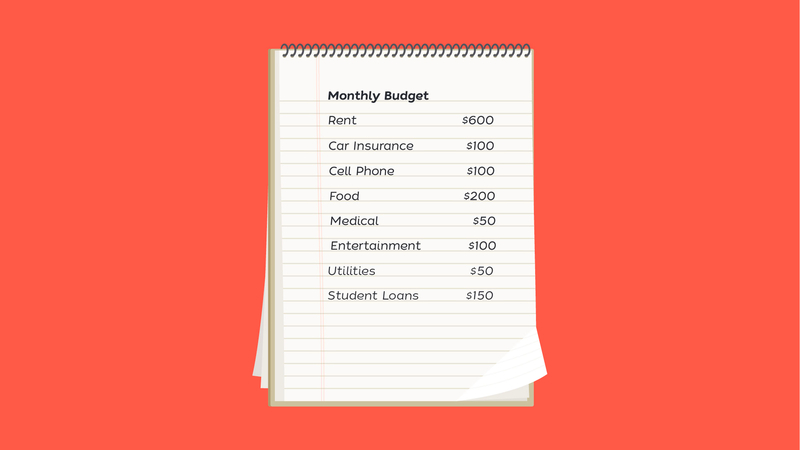 Create a spreadsheet, or use an app, to list all your anticipated monthly expenses. It can be helpful to divide them by how frequently they occur. For the fixed expenses, such as rent or phone, it’s easy to fill in the exact amount you know you’ll have to spend. 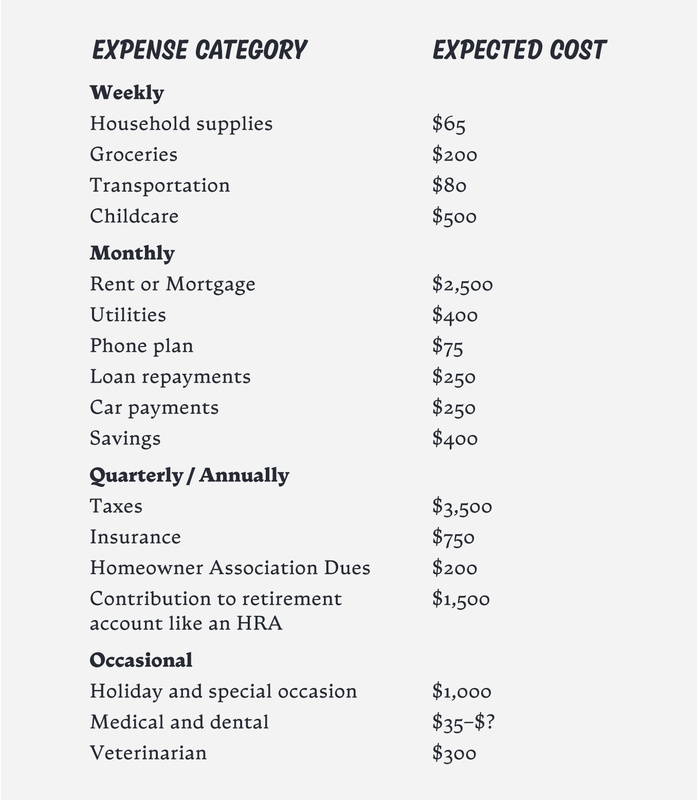 On the other hand, with the variable expenses, like groceries, there is no single exact amount. But based on what you know you spend, you should be able to estimate a fairly accurate number for most weeks. The next step is to compare your income to your expenses. In order to achieve (and maintain) a positive cash flow, you may have to adjust some of the variable expenses—which probably means cutting back or cutting some of them out altogether. You can go back to the answers you and your partner gave when you had the conversation about what kinds of expenses would be the easiest, and the most difficult to forego. You should revisit your budget on a regular basis. Remember, it’s there to help you both, and it’s not written in stone. Adjusting it if your overall household income changes is important. Divide your anticipated expenses based on how frequently they occur. Making a spreadsheet or using a budgeting app can help track your expenses more easily. If your budget changes because you get an influx of cash, maybe from a bonus or an inheritance, you may be tempted to use it to cover increased variable expenses, like eating out, travel, or the newest phone. Certainly using some of the money that way is fine. But it’s also a great opportunity to pay down debt or to increase what you’re putting away in savings—either in an emergency fund, a retirement plan, or your investment portfolio.